As previously rumored, the new mobile phone that inherits the iPhone X design language is indeed called the iPhone Xs. At the same time, Apple also unveiled the 6.5-inch screen design, but the actual size is only the iPhone Xs Max, which is similar in size to the previous Plus version. In terms of positioning, the iPhone Xs and iPhone Xs Max announced this time basically continue the positioning of iPhone X last year, and distinguish between two sizes according to iPhone 8 and iPhone 8 Plus, and in the hardware configuration such as screen size and battery power. 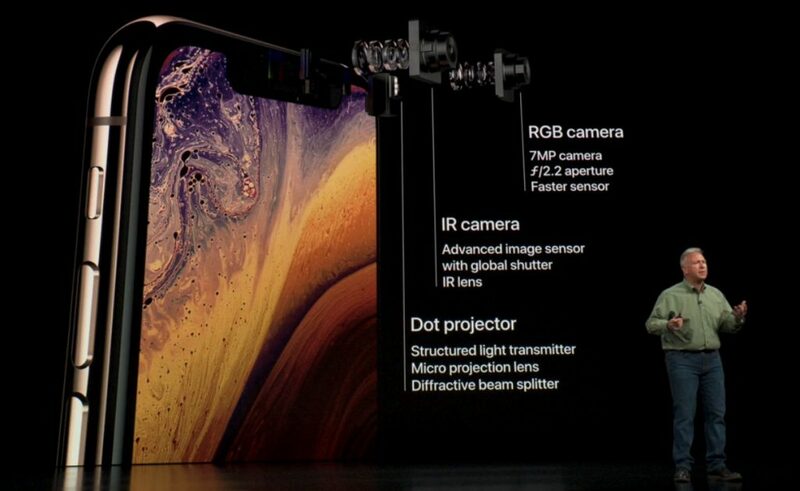 At the same time, Apple also uses the screen of the iPhone Xs series as the Super Retina screen, which corresponds to higher chroma performance and HDR10 display technology, and the body also supports IP68 specifications, which can be used for various liquid spill protections. However, the difference between the two is in screen size, screen resolution and battery capacity. 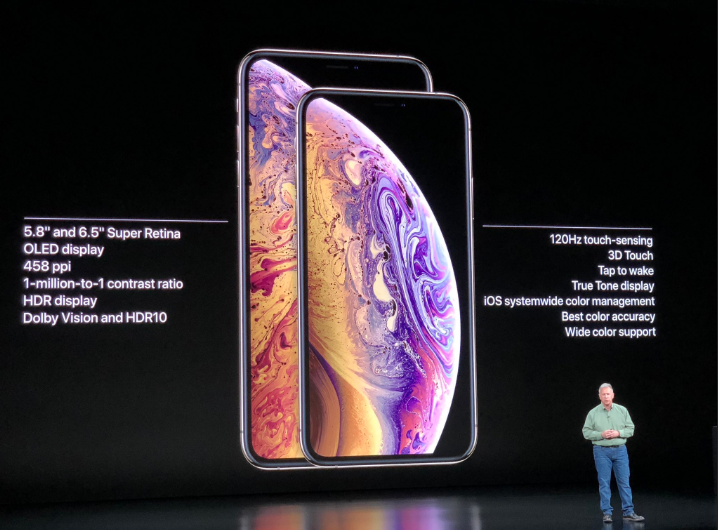 The rest includes the A12 Bionic processor built with TSMC’s 7nm FinFET process, 4GB memory, and the Face ID function that supports the TrueDepth camera module. The design of the 12 megapixels main camera is the same as that of the stainless steel material to create the fuselage frame. The A12 Bionic processor is designed with 6 core CPUs and 4 core GPUs and is equipped with more than 6.9 billion transistors and a new generation of neural network computing chips. Compared with the A11 Bionic neural network computing chip introduced last year, it can correspond with 600 billion operations per second. The A12 Bionic’s neural network computing chip can handle up to 5 megabits per second. Combined with Apple’s ML learning framework, A12 Bionic will be able to achieve 9 times deep learning efficiency, while only costing one-tenth of the original power, but also for more stable and faster-augmented reality applications. In this presentation, Apple also invited Bethesda game director, Todd Howard, to explain the new iPhone Xs experience with the upcoming “The Elder Scrolls 5: Unbounded Sky”, and also participated in the investment basketball training app “Homecourt” by Jeremy Lin, and The content of the augmented reality arcade game created by Directive Games is explained. 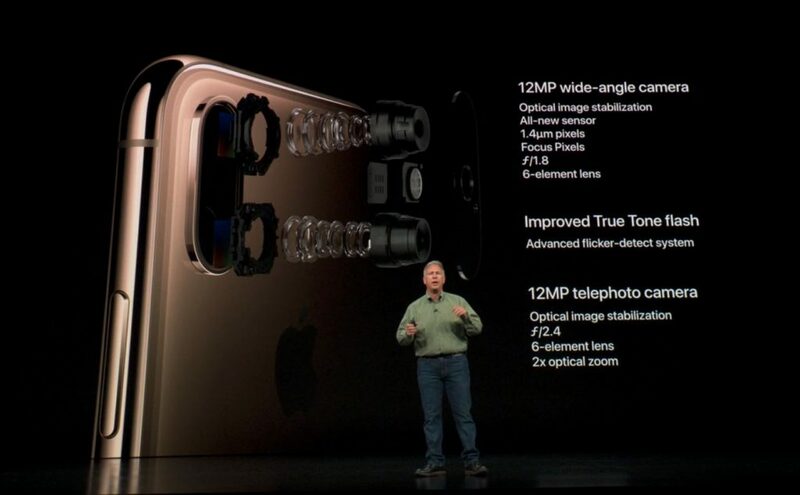 Although the camera section maintains a dual 12-megapixel wide-angle, telephoto lens, Apple emphasizes more than 1 megabits per acquisition and adds smarter HDR shooting and low-latency shooting to make it easier for users. Take beautiful photos, and record clear image details in high-reflective environment. It also shows a more natural shallow depth of field effect in portrait shooting. Even adding depth can change the depth of field by adjusting the aperture value. In addition, it also doubles the efficiency in the video function section, and supports the recording of stereo audio, while maintaining better control of high-reflective performance. The iPhone Xs will maintain the same OLED screen as the iPhone X with a resolution of 2436 x 1125, while the iPhone Xs Max will use a 6.5-inch OLED screen with a resolution of 2688 x 1242, both providing 64GB, 256GB, and 512GB storage capacity. And the introduction of black, white and gold three colors. In the battery capacity section, the iPhone Xs will have 30 minutes more battery life than the iPhone X, while the iPhone Xs Max has an extra battery life of about one and a half hours than the iPhone X. As previously rumored, both iPhone Xs and iPhone Xs Max will support dual SIM functions. The sales version in North America and other regions will adopt the physical SIM card + eSIM card usage mode, while the sales version for the Chinese market will provide two entities. The card slot design of the SIM card is expected to be based on this specification. Like the previous Apple product design, Apple stressed that the new product will not only be made with a more environmentally friendly material but will further enhance the recyclability of its products, which will help the dismantling and recycling of old hunger and thirst more efficiently by robots. The material also emphasizes the continued availability of the old machine through the new operating system. In the recommended price section, the iPhone Xs will jump from the price of $999, and the iPhone Xs Max will start from $1,099. Both are expected to open on pre-order on September 14 and will be available for sale on September 21.